Significant activity is underway to transform Scotland's healthcare system, but a number of crucial building blocks still need to be put in place. 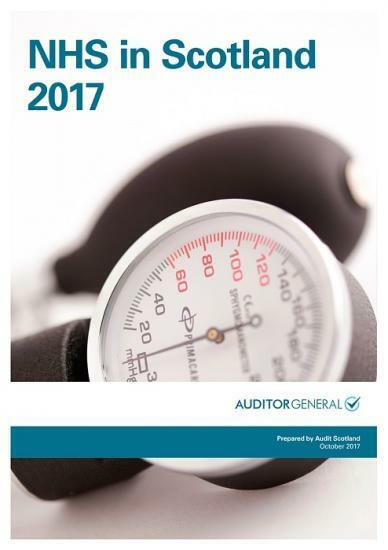 Audit Scotland's annual review of the NHS says staff are committed and overall patient satisfaction is high. But the report also notes increasing costs and growing demand for services, amid signs that the NHS is struggling to maintain the quality of care. In 2016/17, the health budget was £12.9 billion - 43 per cent of the total Scottish Government budget. Funding increased, but operating costs are also rising and NHS boards had to make unprecedented savings of almost £390 million in order to break even. It also states that spending more to treat more people in hospital and speed up treatment is no longer sufficient, and won't deliver the step change that's needed across the system. There are some signs of progress - in areas such as integrating health and social care, developing better data, and embedding a 'realistic medicine' approach - but some key building blocks still need to be put in place by the Scottish Government, NHS boards and integration authorities. It's still not clear how moving care into the community will be funded, and what future funding levels will be required. A clear and long-term framework is needed that features how funding will be used differently to change services, alongside greater financial flexibility for NHS boards. A comprehensive approach to workforce planning should be put in place, with input from staff. A capital investment strategy should also be developed to ensure that the NHS estate can deliver more community-based services. Caroline Gardner, Auditor General for Scotland, said:"The NHS in Scotland marks its 70th anniversary next year, and there is widespread agreement that healthcare must be delivered differently if it is to withstand growing pressure on services. "There is no simple solution, but these fundamental areas must be addressed if reform is to deliver the scale of transformation that's needed across the NHS. Involving staff, the public and bodies across the public sector will also be crucial for success."